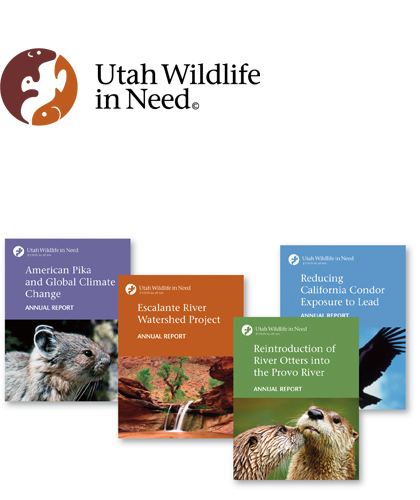 In Utah today, there are some 75 native non-game wildlife species that have been identified as “at risk.” These are wildlife species for which there is, according to the Utah Division of Wildlife Resources, “credible scientific evidence to substantiate a threat to continued population viability.” Because non-game, non-consumptive species do not generate revenue through the sale of licenses and permits, and limited state tax revenues are available, little funding is allocated to protect threatened wildlife habitat. To fill the void, newly formed Utah Wildlife in Need focuses on preventing further loss of our wildlife species by protecting and preserving the habitat where these native non-game species thrive. Dependent upon grants and donations, building relevant and credible presence with limited finances required that the organization’s vision and resources be sharply focused.